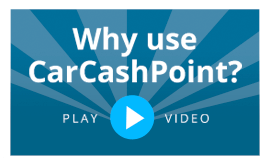 Getting a loan against your car isn't a tricky process, especially from a log book loan specialist like Car Cash Point. But it is a much harder to overcome money problems over the longer term. If you're stressing over money, you're not alone. Stats show that the average UK household will owe around £10,000 in personal debt (such as loans, credit cards and overdrafts) by the end of 2016... and that's not taking into consideration big debts like mortgages! Here are some ways to help you overcome your money problems and improve your finances for good. The first thing to do is make sure you're paying off existing debts at a rate that's affordable for you. So, if you've already got a log book loan with another company or a payday lender and you are struggling to pay it off, consider switching it to a lender who can help you to save money. You can reduce your payments and pay back less overall if you just spend a bit of time shopping around for a good deal. The next thing to do is to have a look at why you're getting into financial difficulty. Lots of the time, it's because of things outside our control: losing our jobs, getting sick or not being able to work as much as you want to. But, it might be the case that you're just spending a little bit more than you can afford to each month. If this might be true, try cutting back wherever you can. It will make a big difference! Little things (like buying lunch from a shop instead of making your own, or picking up a coffee on your way to work in the morning) really can add up to a much larger amount. So, if you can cut back at all and put that spare money into an 'emergency funds' account, you'll feel like you're in a much stronger financial position than before. That said, it can be quite disheartening when people suggest 'cutting back' and 'earning more' if you've already tried doing both those things. If you're earning as much as you can and are budgeting as carefully as you can and still can't make ends meet, talk to a professional body who might be able to give you some good advice about extra assistance you can get from the government. They might even be able to give you tips for making the money you do have stretch a bit further. Once you've got a clear idea of why you're running into financial difficulty, come up with a plan on how you're going to spend money in the future. Have a monthly budget that you stick to, and think further ahead too: what might your budget look like for an entire year? This way, you'll factor in the cost of bigger, re-occurring events that are often overlooked, such as MOTs, dental treatment, kids going back to school in September, birthdays, Christmas presents and family holidays. Getting used to budgeting well in advance is the key to becoming debt-free in the long-term. Are you a car owner? Need a fast loan with no hidden fees and credit checks? Just fill in the application form for a decision in minutes and get cash into your bank account within one hour if you qualify.